Beethoven surprises us / Schubert surprises himself! I recently spoke with a close friend sharing with him the program for my upcoming solo recitals. When he heard that I will be playing a late Schubert sonata he asked whether my intention is to put people to sleep! He then recommended that I ask the audience to turn on their cell-phones, and feel free to send text messages or check e-mails between movements. Well, He was not completely wrong. During the second half of the 19 century concerts were a much lighter affair. A program would normally consist of a movement of a piece, followed by two arias, then perhaps an improvisation on a popular tune and so on. To play a full Schubert sonata was inconceivable, not to mention that these works were pretty much neglected back then. We seem to be living in an era in which in order to be taken seriously one has to program four Beethoven sonatas. Programming Liszt transcriptions, or Brahms Hungarian Dances means you won’t be considered as a serious artist. Playing only a movement from a sonata means you will be vetoed altogether. And yet the programs of Horowitz or Rubinstein from the first half of the 20 century show much greater variety and imagination. What was it then in the sonatas of Franz Schubert that puzzled so many important figures in the 19 century? Robert Schumann in his review of these works in 1838 criticized their "much greater simplicity of invention", claiming the sonatas "ripple along from page to page as if without end." Schumann in his review of the great C major symphony, however, remarked so poignantly about its "heavenly length." This, in my opinion, suits the sonatas just as much. Music is an art that happens in the dimension of time. Schubert’s perception of time is unlike any other composer. I guess one can say that about almost any composer. 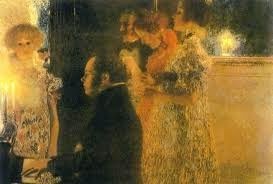 But there is a uniqueness to the way Schubert’s works unfold in time. I like to say that Beethoven surprises us, whereas Schubert surprises himself. Beethoven has a very clear idea where he is aiming, and how long it is going to take - the goals, the climaxes. With Schubert you get a sense that he is unsure where the piece is going to take him. I played some years ago the big A major sonata to Claude Frank - a wonderful pianist, musician and teacher. I remember him telling me that when he played that piece he always felt that he was a driver of a Trolley somewhere in the Austrian Alps, and just before launching onto the last movement he wanted to call the audience “ALL ABOARD”. Listening or playing one of the grande Schubert sonatas indeed you are on a journey - you might discover along the way a hidden brook. Please stop for a moment and try to speak with it. Most likely the brook will answer. You might also encounter severe weather that will throw you out of your way. Confront it, fight it, you might succeed. I also hope that on your journey you will meet a beautiful maiden. Do fall in love with her, though let me warn you, she is most likely already engaged to the hunter. Still you should fall in love, and get hurt, and feel some hope together with despair and anger. Oh, and beware of the evil spirit. He is there somewhere, most likely disguised in the most beautiful seductive music. Perhaps what you are looking for is a place you can call home. You might never find one! These are all important awarenesses on the path to the heart of this music, to the heart of Romanticism - nature, a beautiful maiden, unfulfilled love, a talking brook, a storm, the Erlkönig, being a wonderer and a stranger in any land - all of which come to life in the eternal beauty of the music of Franz Schubert. The c minor sonata has four movements which suggest a large symphonic scale. Also the choice of the dramatic key of c minor is obviously a homage to Beethoven (the Pathetique sonata, the variations in c minor, the 5th symphony). But there is also a homage to the divine lyricism of Mozart. 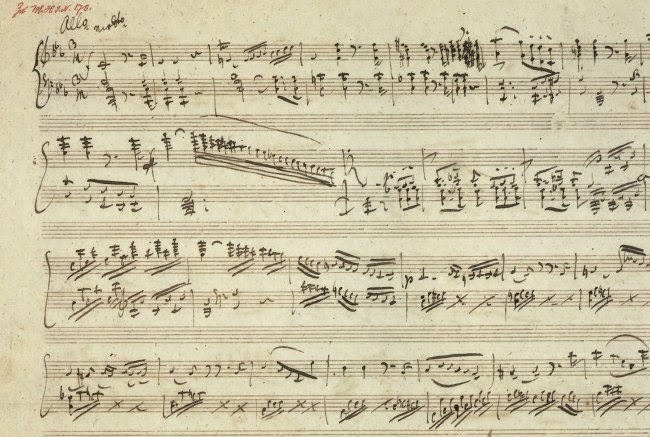 It is a piece of vast dimensions written moments before the composer died at the young age of 31. It was published more than ten years after he died.